Happy First Thursday and Friday of March Madness! In honor of two of the best sports days of the year, it’s appropriate to recognize a treasure of Philadelphia sports, albeit at the college level. 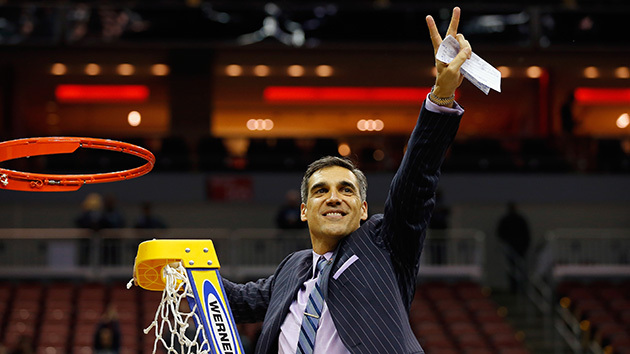 Jay Wright is not only a successful basketball coach with a winning percentage of over .700 in 16 years at Villanova, but his personality makes him the most likable sports figure in Philly. When hosting on 94 WIP this past weekend, I got into an argument relating to the type of teams he puts together and how that factors into his coaching success. Someone opined that because Wright doesn’t bring in talent who is going to bail for the NBA after one season, he’s overrated. Such a thought is preposterous. The theory is Wright’s job is easier because he’s coaching teams that develop over multiple years. I argue Wright’s credibility is even more impressive because he isn’t dealing with the type of naturally gifted player that chooses a Mike Krzyzewski, John Calipari or Bill Self program. His best players, such as Josh Hart or Ryan Arcidiacono, don’t appear to be NBA pros at the jump, but develop into guys who could possibly break into “The Association” after three or four years on the Main Line. I found it funny that five days after this topic broached the airwaves on my show, a reporter asked Wright if not coaching “one-and-dones” was an advantage for him. The head coach answered that he hopes it is, basically not helping my point. But either way, the bottom line is always win. Including the postseason, Villanova has won at least 30 games the past three seasons under Wright, only finishing with losing records twice in his tenure. The man knows basketball and it would be fascinating to see if he could translate his college success into the pro’s like Brad Stevens. Yet, basketball aside, what makes Wright extraordinary is his respectful, down to Earth demeanor, as well as the ability to never seem ruffled. I think of the most popular icons from the over 25 years I’ve followed Philadelphia sports, and there isn’t one I’d rather hang out with more than Wright. Chase Utley played his tail off in Phillies pinstripes, but chose to hide his personality from the fans that adored him. Brian Dawkins is flawless, but there’s always the possibility he’ll break out into “Weapon X” mode, which will make me want to run the other way, and Allen Iverson is my favorite athlete of all time, however spending a day with him is more of a “bucket list” item because of the unpredictability. You know what you’re getting from Wright. His mannerisms are as guaranteed as the top notch suits he fashions. Minus rare blow ups on the bench, Wright comes off as a guy who you can see in the neighborhood coffee shop and chat about anything. He’s relatable based on his career path, working up from a decade as an assistant coach at four different schools all over the country, to his seven years at Hofstra and eventually Villanova. The man paid his dues and remains humble even to this day. If you can find a flaw about Wright, let me know. And if it’s he’s “overrated,” I suggest you inquire about a head examination. I don’t gush about sports figures very often, but there’s a reason Wright recently wrote a book called “Attitude.” His is perfect. -Last week, Pro Football Talk reported Malcolm Jenkins was a piece in the trade conversations between the Eagles and Saints. Ultimately, Jenkins stays here while wide receiver Brandin Cooks went to the Patriots. Howie Roseman said a deal wasn’t close to getting done. Regardless of how close it was, dealing Jenkins to improve the wide receiver position would’ve been counter-productive. The Eagles secondary is just as bad as their wideouts were. It was another good decision by the new and improved Roseman. -As the 76ers limp to the end of yet another losing season, players and coaches around the NBA continue to praise the Sixers fight and the coaching of Brett Brown. It’s pretty clear Brown is very well respected across the league. It would appear Brown’s peers don’t view him as a failed head coach, but actually someone who has done a remarkable job in an impossible situation. So, with the intrigue created by Joel Embiid and Ben Simmons (hopefully healthy) and the reputation of Brown, there is no excuse for Bryan Colangelo not to improve this team with multiple free agents next season. With the draft picks the Sixers have, there is no excuse not to make the playoffs next year. Period. -Heading into Thursday night, there’s 13 games left for the Flyers, who are five points back of the last wild card spot in the East with three teams to jump. The odds are stacked against the Orange and Black. It would be the third time in five seasons they missed the playoffs. I’m sorry, that’s not the Flyer way. Patience and waiting for “the kids” to come is a lame excuse. Dave Uram is a weekly contributor to Philly Influencer. You can follow him on Twitter (@MrUram) and email him at david.uram@yahoo.com.